We have a state holiday in Utah this week. It’s called Pioneer Day, the day we celebrate the arrival of the Mormon Pioneers in the Salt Lake Valley. Another summer holiday usually means another summer barbecue and we’re ready to go! 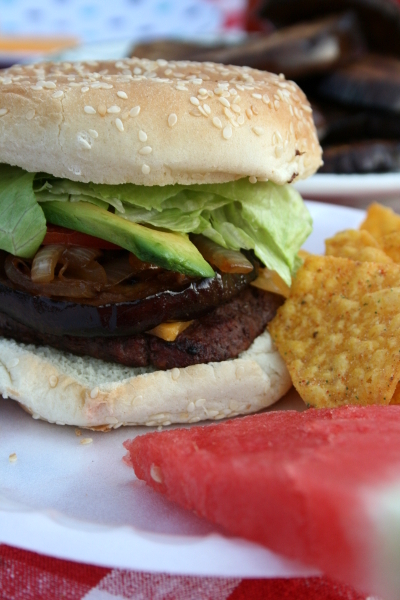 Truth be told, I’m not much of a burger fan… two or three hamburgers in the summer is usually my maximum. I have found, however, that there are a few things I can add which make them much tastier. I like to add some sautéed onions, avocado slices and grilled eggplant. 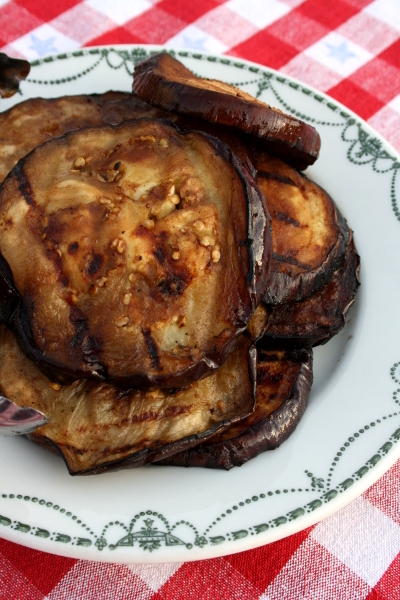 To make the eggplant I slice it into pieces, then marinate the slices in a mixture of olive oil, soy sauce, ginger, and a few other things. Place slices on the grill and cook, then add it to your hamburger. Delicious! What’s your favorite thing to add to a hamburger? Hope you’re enjoying what’s left of the summer. I know the common joke in late summer and early fall is that you can’t get rid of all your zucchini, but I must admit that it’s my favorite vegetable. This simple recipe might just make it your favorite as well. I’m pretty sure I could eat this three meals a day and not get tired of it, and I just might be saying that because I’ve done it. Note: 3-4 small to medium zucchini will fill one jelly roll sized pan, depending on how thinly you slice them. 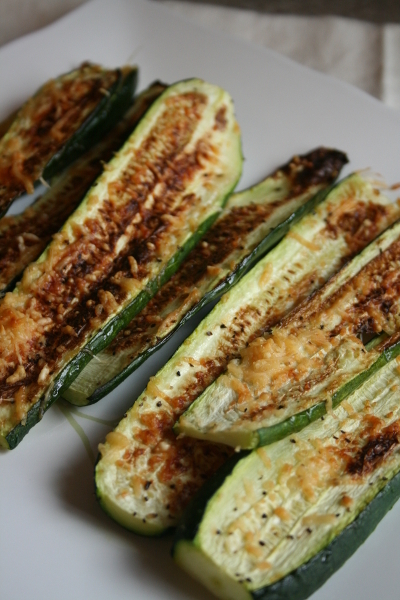 The thinner the ribbons, the more crispy the zucchini will be. At my house, three large pans of this dish is devoured in about 5 minutes! 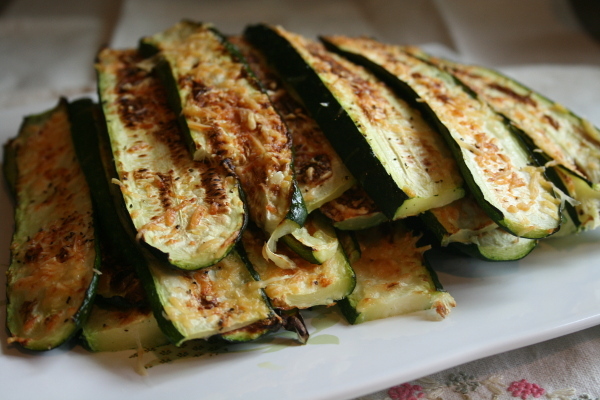 It makes a perfect side dish, but I often make it for lunch too. So go get some zucchini. You’ll thank me. So, I’m going to post a few super easy dishes that might help take some pressure off during the season. 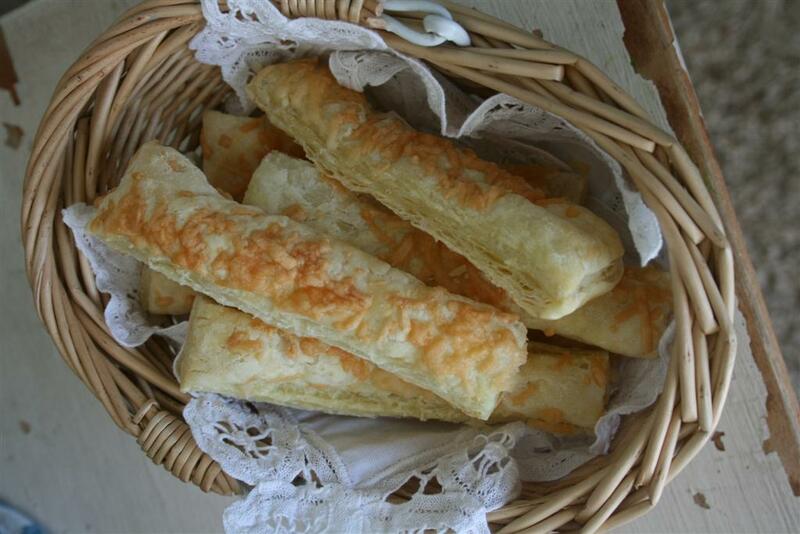 These cheese sticks are a great side to soup or any other meal, but could also be made as an appetizer with dip or even served alone if you’re responsible for taking a dish to share at a holiday party. My family devours them when I make them. 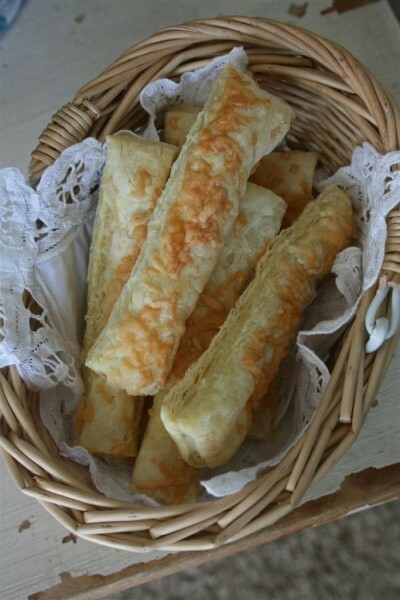 These cheese sticks have just two ingredients: frozen puff pastry and parmesan cheese. It’s one of those things you can always remember to buy, or is easy to keep on hand for nights when you’re in a pinch. 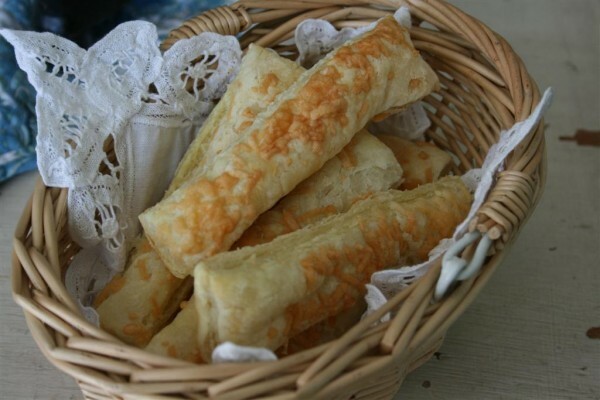 Lay pastry on baking pan lined with parchment paper. Carefully cut each pastry sheet lengthwise into 1 inch strips, then cut the strips in half to make them a nice finger food size. 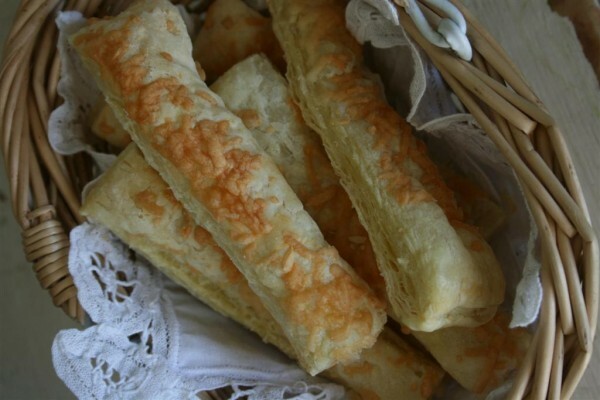 Sprinkle grated parmesan cheese over pastry.